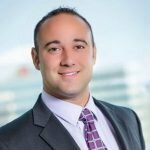 MacKenzie Commercial Real Estate Services, LLC is proud to announce that the Howard County Chamber of Commerce has named Real Estate Advisor Dave Sciamarelli “Young Professional of the Year” at their 2015 Awards for Chamber Excellence on May 21, 2015. A member of the Chamber’s Young Professional Network (YPN), Dave carries out daily the group’s mission to ensure the continued success of the community through leadership, service participation, innovation, and enthusiasm. Dave’s extensive community involvement and participation on numerous boards and committees in Howard County contributed to the receipt of this award. Current positions include Treasurer and Chair for Membership and Sponsorships for YPN, as well as incoming Chair of the YPN Board of Directors, member of the Grant’s Review Committee for the Community Foundation of Howard County, Board of Directors for Young AFCEA, and a member of the Board of Directors for the Inner Arbor Trust. Dave was also recognized as one of Maryland’s Finest top 39 under 39 in 2014 by the Cystic Fibrosis Foundation. For more information on MacKenzie Commercial Real Estate Services, please visit www.mackenziecommercial.com. For leasing inquires contact Dave Sciamarelli of MacKenzie Commercial Real Estate Services at dsciamarelli@mackenziecommercial.com or 410-953-0357. MacKenzie Ventures, LLC (MacKenzie) possesses the multi-disciplined team necessary to excel in Maryland’s corporate real estate community. Comprising seven firms, MacKenzie provides clients a competitive, full service platform of offerings in leasing, sales, investment sales, tenant and landlord advisory services, corporate and business consulting, commercial and residential development, general construction, property and asset management, debt and equity capital placement, and market research. With more than 150 employees and offices in Annapolis, Baltimore, Bel Air, Columbia and Lutherville, Maryland, MacKenzie is one of the largest full service commercial real estate firms in the Mid-Atlantic. Please visit www.mackenziecommercial.com for more information.